Spain's southern coast is on weather alert after being battered by waves of up to seven metres high. An orange alert was in place among most of the Costa del Sol and surrounding areas until 6pm local time Wednesday. After that, a yellow alert will operate in most of the region on Thursday and Friday, although the alert will remain orange in the south-central coastal region. 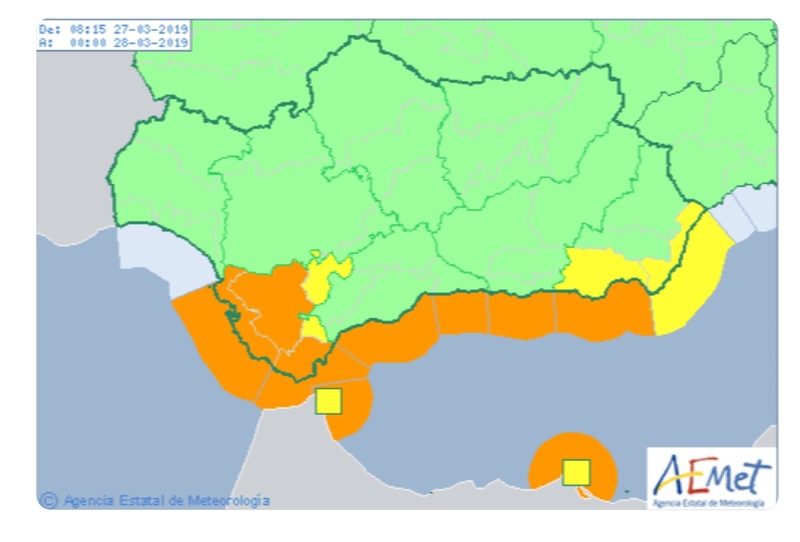 Spain's weather agency AEMET forecasts that virtually the whole coast of Andalucia, from Cadiz in the west to Almeria in the east, will experience high coastal waters and strong winds for the next three days. Malaga Port was hit by six-metre waves on Wednesday morning and the region's San Andres beach was flooded, while Gibraltar's coastline was hit by waves of five metres. Other parts of the Costa del Sol will see waves of between three and five metres and the region's police is warning residents and holidaymakers to take care if they are near the seaside.